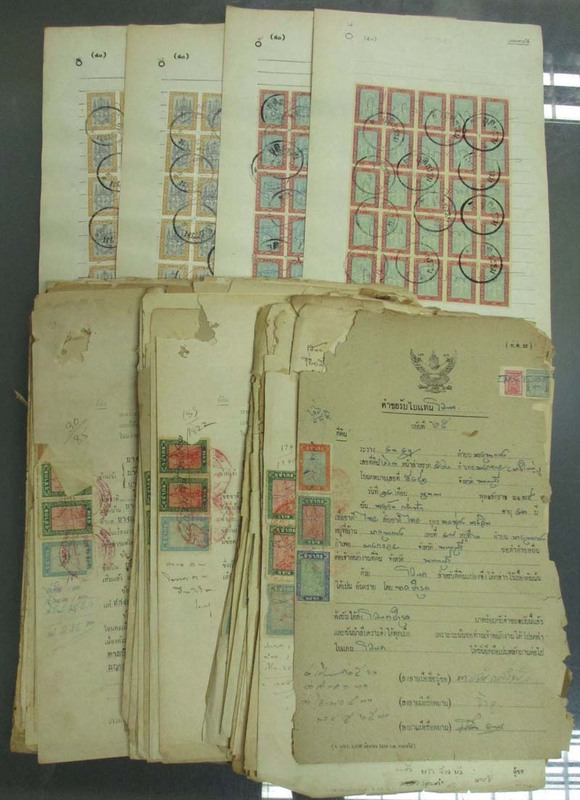 "Document - Lot of 200 documents mostly concern with lands and affixed with Court Fee - Local War Issue included 2 sheets of paper affixed with Erawan Court Fee 400b. block 25(5x5) and 2 sheets affixed with Erawan Court Fee 500b. block 25(5x5), etc. Mostly fault at upper left corner. Inspection suggested. (200) "